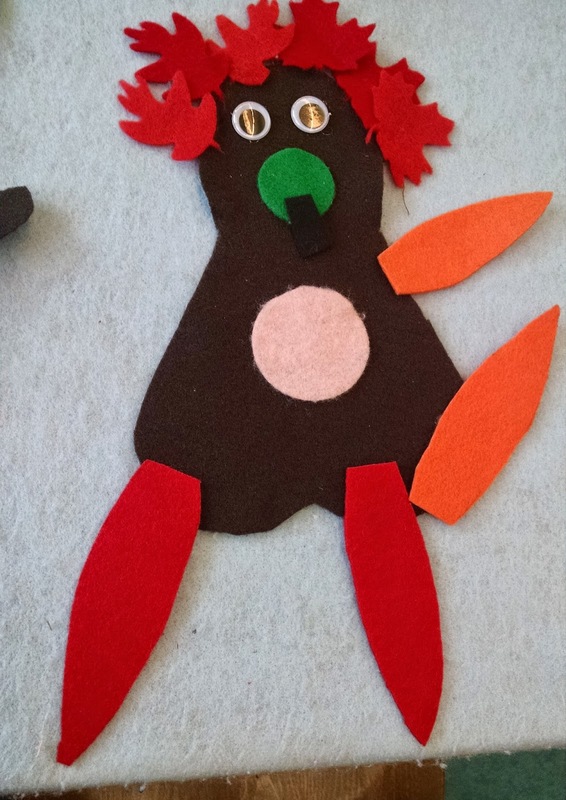 I made a lovely flannel turkey last year for our mobile flannel boards, and someone took it! Between then and now, I made the flannel table I described last month. And someone decided to take one or two of the cars and the bus I had worked so hard to make. 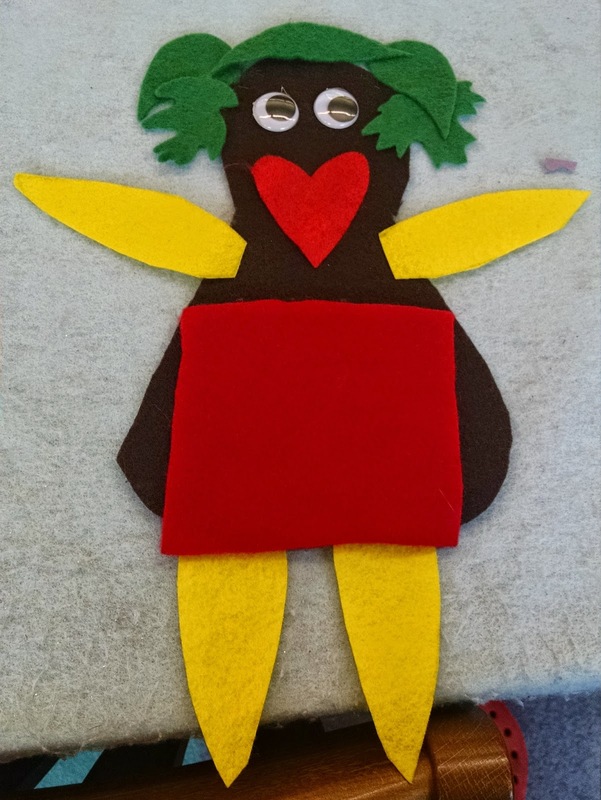 They also took one of the two felt trees I'd added in October and several little pumpkin felts. It really ticks me. This is something I do with my time and MY money--and I posted a sign saying as much and asking "Please don't "borrow" the felt pieces." I did it as much on the underside as I could, so you can't see the basting, but the turkeys are secure. It seems to be working. So far so good. And I've just added a few "Novem-bears" and basted them on too. I will see how it goes.